Hello everyone! 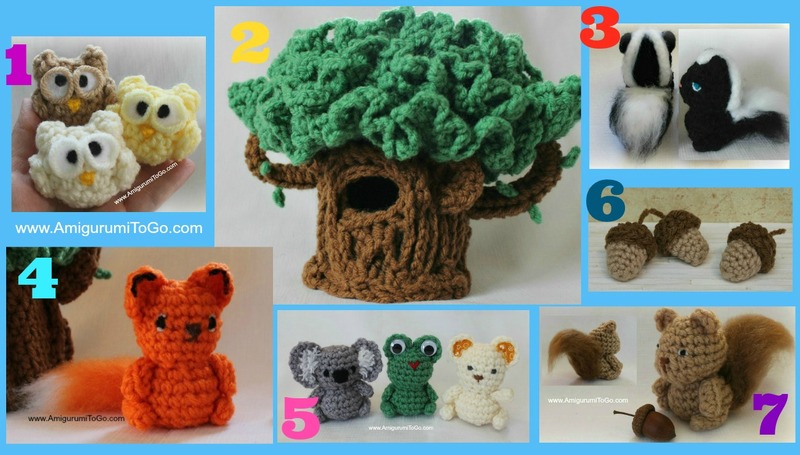 I put together another round up of free patterns for you. The tree is hollow and closes up like a pouch. It holds 3 to 4 of the animals inside it. I designed this tree with built in nests for friends to sit on top too! Donations of any size help keep my patterns and video tutorials free. video for. There's a separate video for the Squirrel since the head is shaped differently and I also show how to brush out the tail to make it fuzzy and full. Don't forget to subscribe to my channel, I have lots more coming up!